With every meal we cook, we begin again. And again. And again. Within a few hours, we create something from scratch, and yet, an opportunity presents itself the next day, to start all over again. Sometimes there are leftover goodies, sometimes leftover ideas, at times leftover inspiration, but there are always leftover lessons. Sarmishta Pantham will share how she stumbled upon unexpected inspiration for the process of starting fresh– and savouring the process rather than an endpoint, with the everyday act of cooking. 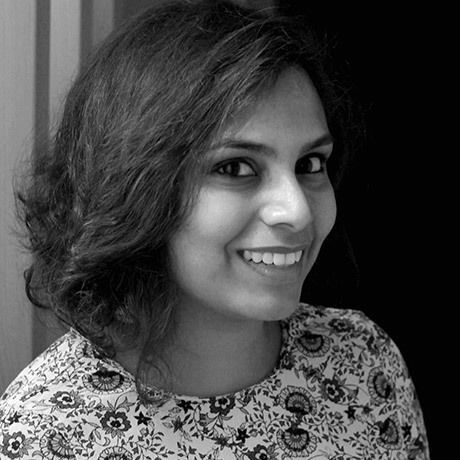 Sarmishta Pantham is a designer and maker based in Berlin, and currently Head of Design & UX at Marley Spoon. Over the past 14 years, she has worked in fashion, brand identity, trend research and user experience design for brands like Levi’s, eBay, Toyota and Blinkist in India, the United States and Berlin. Alongside her professional practice as a user experience designer, she runs a parallel practice named Handful– a playground for exploring interdisciplinary vocabularies through the lens of craft, culture and food. Between design, writing and photography, she can be found researching traditional Indian delicacies for her pop-up dinner series, Indian Standard Time.